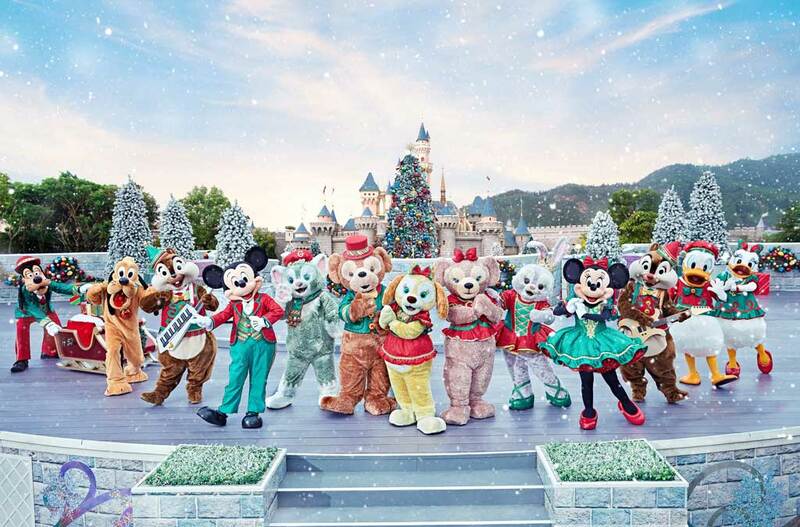 (Hong Kong – November 15, 2018) Hong Kong Disneyland Resort (HKDL) invites everyone to enjoy an authentic Christmastime experience – with a Disney-style glow from today to January 1, 2019. 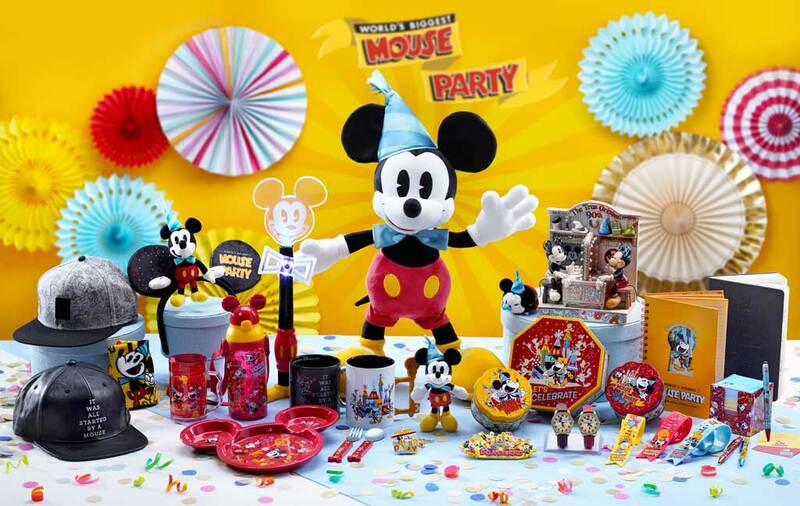 At the same time, guests can also celebrate the Mickey Mouse’s 90th anniversary during the “World’s Biggest Mouse Party.” An exclusive Magic Access Buy More Save More Offer allows Hong Kong residents to kick off a year of magical fun at up to 20% off. This Christmas, as the snow begins to fall, Hong Kong Disneyland will be lit with a magical glow! Enjoy heartwarming moments with Disney friends and your own loved ones from day to night during “A Disney Christmas” as the resort transforms into a magical winter wonderland with an all-new 18-meter-tall Christmas tree, stunning holiday ornaments, dazzling lights, and even a much-anticipated snowfall. Dance and sing at the “Mickey and Friends Christmastime Ball,” take a stroll through the brand-new Fantasy Gardens Wintertime Market and experience the mesmerizing Magical Twilight Snowfall, along with much more! 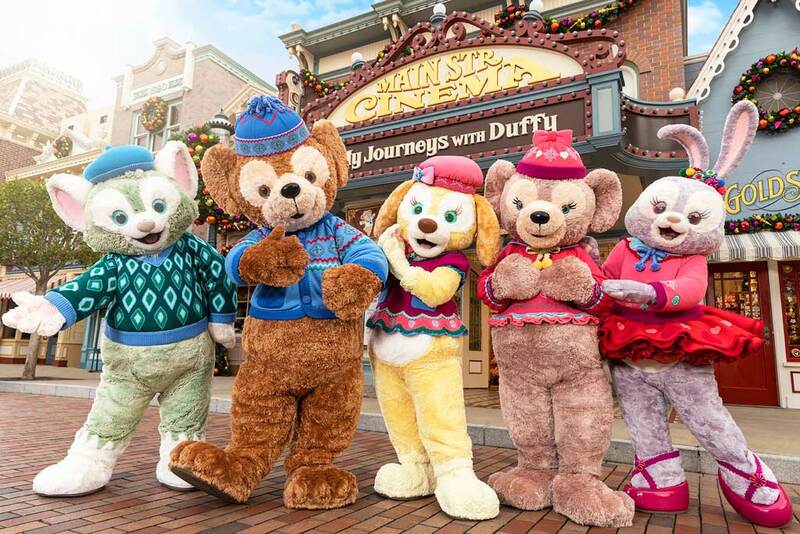 All your favorite Disney Characters will come together to share the joy, including Duffy’s new friend Cookie who joins in the Christmas celebration for the first time. The magic continues with enchanting Christmas moments that will be cherished for a lifetime! 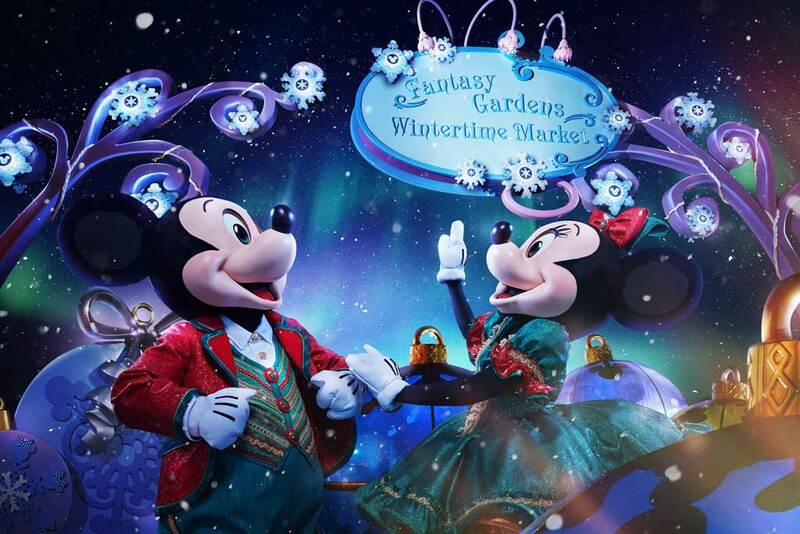 Step into a world of shimmer and snow at the all-new Fantasy Gardens Wintertime Market. This year, Fantasy Gardens has been transformed into a festive Christmas market! 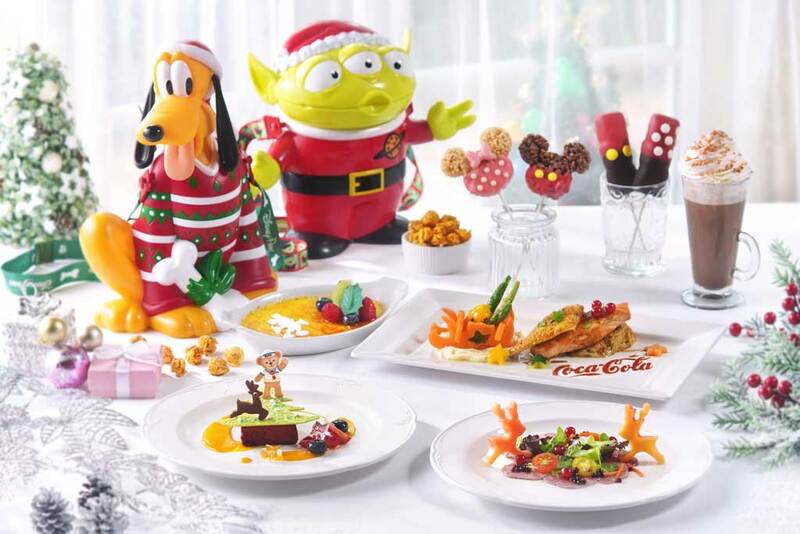 Eat and shop for exclusive Christmas treats and gifts. With giant Christmas ornaments, twinkle lights and a sprinkle of snow, it is also the perfect spot to take a holiday photo with friends, family, and beloved Disney Characters. Every guest is invited to the special Mickey and Friends Christmastime Ball, a yuletide musical extravaganza! In this 20-minute celebration featuring live vocals, dancing and music, guests can sing along to classic Christmas tunes and follow our dancers to make every jolly movement. 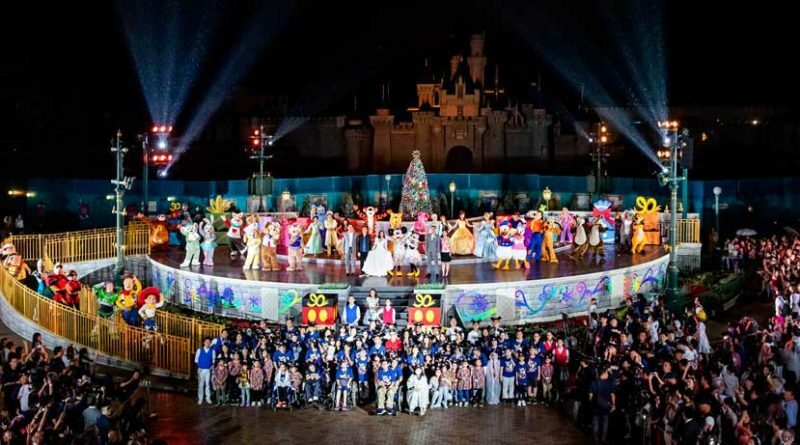 Everyone’s favorite Disney Characters, dressed in their Christmas outfits, will take the stage for a heartwarming gathering. And best of all, a little magic will happen to end the performance with a delightful snowfall. Mickey, Minnie and other Disney pals have come together for this Christmas Ball to celebrate the festive season, sharing their wishes for the holidays and spreading joy. Donald and Daisy will help with the Christmas decoration, while Pluto and Goofy will arrive with presents for their friends. The playful pair, Chip ‘n’ Dale, will join the party with their musical instruments to bring guests some good old Christmas rock ‘n’ roll. Duffy, ShellieMay, Gelatoni and StellaLou will officially welcome Cookie to the party for the first time, making it extra special! On selected dates, HKDL has invited nine local community choirs to put on a special “Community Choir Sing Along” performance on the same stage prior to the “Mickey and Friends Christmastime Ball,” spreading love through music to every guest. In particular, performing groups such as KID’s Dream Choir and Little Life Warrior will bring the children patients, their parents and medical staff to the park, showcasing their singing talents and sharing the festive fun with all the Guests! 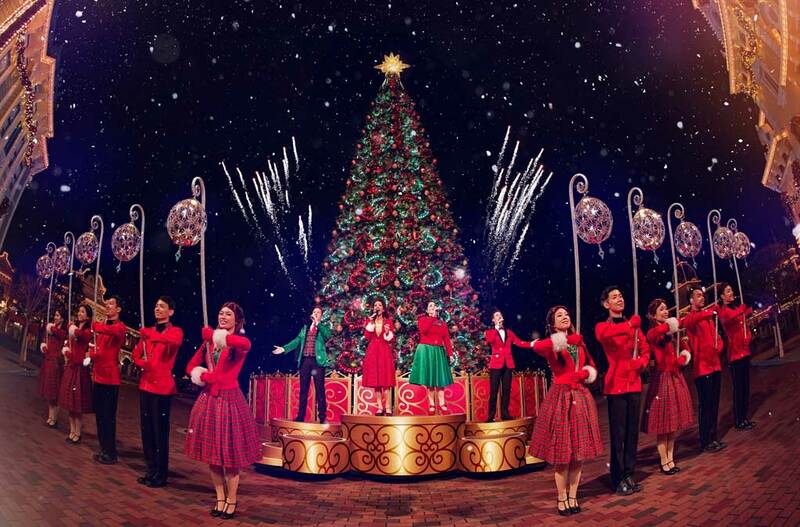 Prepared to be dazzled under the towering lights of HKDL’s very own Christmas tree. This year’s tree is a brand-new, 18-meter-tall wonder, featuring beautifully designed ornaments and LED lights with special glowing effects. It’s the perfect spot for Christmas selfies. Mickey and friends will wish for snow at “A Magical Twilight Snowfall” on Main Street, U.S.A., revel in delight at the sight of a winter wonderland that glows with thousands of beautiful lights, warming everyone’s heart with Christmas spirit. Meet all your favorite Disney pals … plus one more! This year, Duffy and his friends are welcoming Cookie! Visit Mickey, Minnie, Donald, Daisy, Goofy, Pluto, Chip ‘n’ Dale, Duffy, ShellieMay, Gelatoni, StellaLou, and Cookie at different locations in Town Square and Main Street, U.S.A. Take a photo or say hello as Mickey and his friends are there to meet you and show off their special holiday costumes of green and red, while Duffy and his friends will unveil their special winter outfits for the season. Santa Goofy will be greeting guests at The Annex. He will be sitting on his Christmas throne, ready to hand out his newly-designed collectable postcards, available in 4 designs, which guests can mail to friends around the world stamped with a special commemorative postmark. At night, Santa Goofy will be at the Hong Kong Disneyland Railroad Main Street Station to say goodnight to everyone. To cap off a magical day in the park, nothing beats sharing a good meal with loved ones. 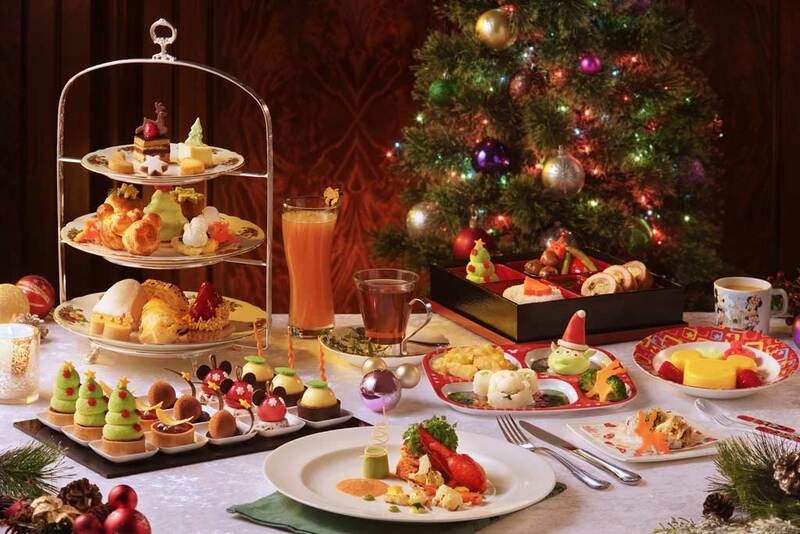 Restaurants in the park and hotels have added more than 80 delights and drinks to this year’s Christmas menus. Festive dinner experiences await in the hotel restaurants, which are the perfect chance for gathering friends and family for a happy Christmas meal. The resort is also the perfect place for Christmas shopping! Stores will be packed with over 100 seasonal merchandise items, so enjoy browsing through the elaborate range of joyful goodies, from apparel to accessories, stationery, ornaments and home décor! As you stroll along Main Street, U.S.A., wonder at all the store windows decorated with stunning display. New assortments this year feature Duffy and friends with Cookie joining for the first time, Mickey and friends … and everyone’s favorite: Tsum Tsum! Guests staying during the holiday season will enjoy a complimentary collectible souvenir set in each room, including a Christmas-themed amenities box, slippers and a door sticker. For a complete resort experience, do not forget to take part in the complimentary Christmas activities across the three themed hotels! In the Hong Kong Disneyland Hotel, little guests can dress up in a Santa Claus outfit and join the “Goofy’s Choir Team” to sing some Christmas songs together. At Disney Explorers Lodge, guests can join a “Disney Snowman Cupcake Class” to unleash their creativity by making a delicious cupcake. And at Disney’s Hollywood Hotel, young guests can go on a “Christmas’ Journey in Hollywood” to have an experience of dispatching gifts in an electric car. Families can also enjoy some quality time together to create their own arts and crafts, such as a Christmas Garland or Snowy Ornament. This year’s seasonal festivities are made extra sweet thanks to the “World’s Biggest Mouse Party,” which runs from today to February 2019. This year marks Mickey Mouse’s 90th anniversary, following the debut of “Steamboat Willie” in 1928. The celebration encompasses a rich line-up of exuberant resort-wide offerings. On November 18, guests can participate at a special celebration for Mickey’s 90th anniversary. Guests can also enjoy the “We Love Mickey!” Projection Show Birthday Edition on Main Street, U.S.A. till February 2019, starring Mickey and Minnie in their new celebratory outfits. There will even be special birthday stickers for guests – while supplies last! From today onward, guests can also enjoy four new park admission ticket designs, featuring Mickey, Minnie, Donald and Pluto, exclusive merchandise, unique food and beverage items and a special-themed hotel room decoration package. Plan now for a memorable celebration with your loved ones with exclusive celebration offer for Hong Kong residents only. 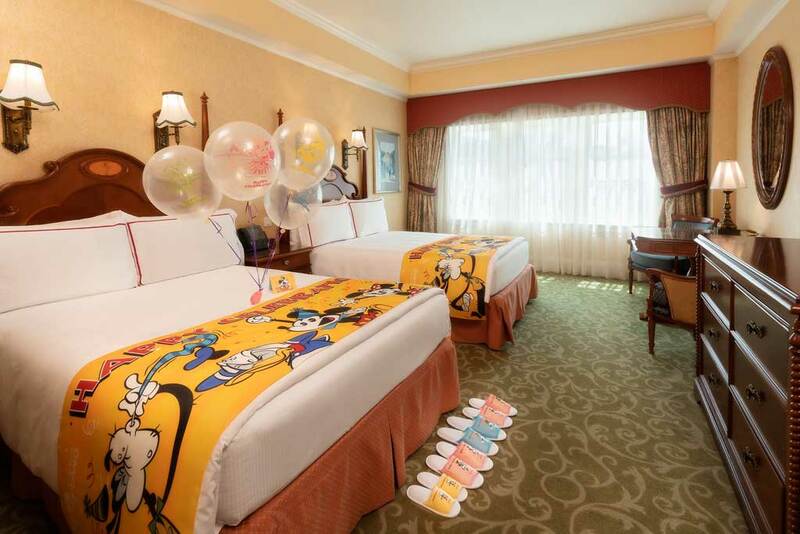 Special rates start at HK$1,799* for a one night stay at any of HKDL’s hotels, including a standard room with a decoration bundle, bed runner, door sticker, amenities tin box, slippers, balloons and greeting card. For more details, please go to https://www.hkdl.hk/hkrhoteloffer. Hong Kong residents to enjoy exclusive Magic Access special offer to kick-start a magical year in 2019! From now to January 15, 2019, Hong Kong residents can enjoy up to 20% off with the “Magic Access” Buy More Save More Offer#. Get 20% off for purchase of 4 or more memberships, 15% off for 3 memberships and 10% off for any combination of 2 Platinum and Gold adult memberships in one single transaction. Magic Access Members can be fully immersed in the Disney magic year-round##, together with an array of exclusive benefits and discount offers. A series of tailor-made programs have also been planned specifically for our members. *Hong Kong Resident exclusive: “Let’s Celebrate” Hotel Room Package is available for booking between now and December 5, 2018, and valid check-in dates are from November 21 to March 31, 2019. 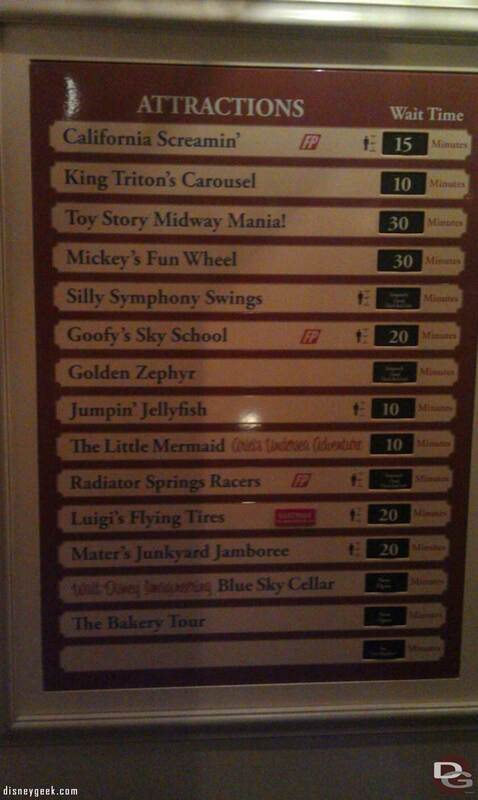 Terms & conditions applies, for details please browse Hong Kong Disneyland website. #This offer is not applicable to purchase of senior Magic Access Membership. ##Subject to Magic Access blockout dates.